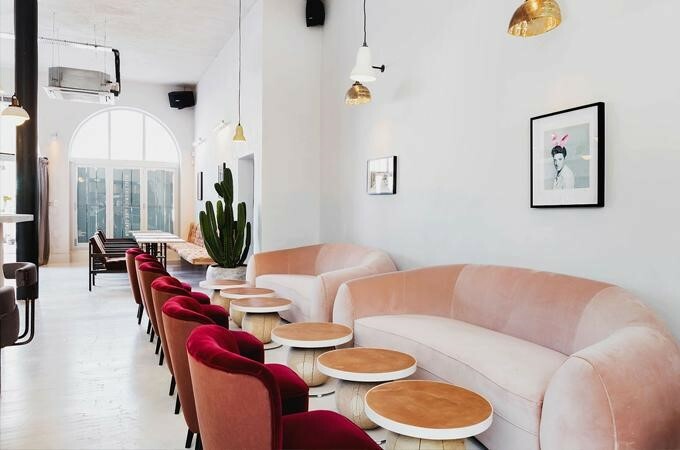 Armchairs, benches, sofas: we’ve predicted that restaurant seating that falls outside of the norm will be a hot trend in 2018 as hip eateries look for new ways to embrace the unusual. Don’t get us wrong, dining chairs are anything but boring. They come in all shapes, sizes, and styles, but as commercial spaces increasingly morph into spaces that feel more like our homes, it makes sense for restaurants to embrace this trend. Plus, wouldn’t it be fun to consider seating that customers just won’t expect? Pair two lounge chairs with a low table for an intimate setting for drinks, appetizers and conversation. Perfect for a romantic date setting or a connecting over a coffee, this combo brings interaction to the forefront. Line a live-music stage with low tables and lounge chairs to maximize space usage -- this creates unique, coveted seats. Use lounge chairs instead of a more traditional dining chair at a small pedestal table for a relaxing dining experience. 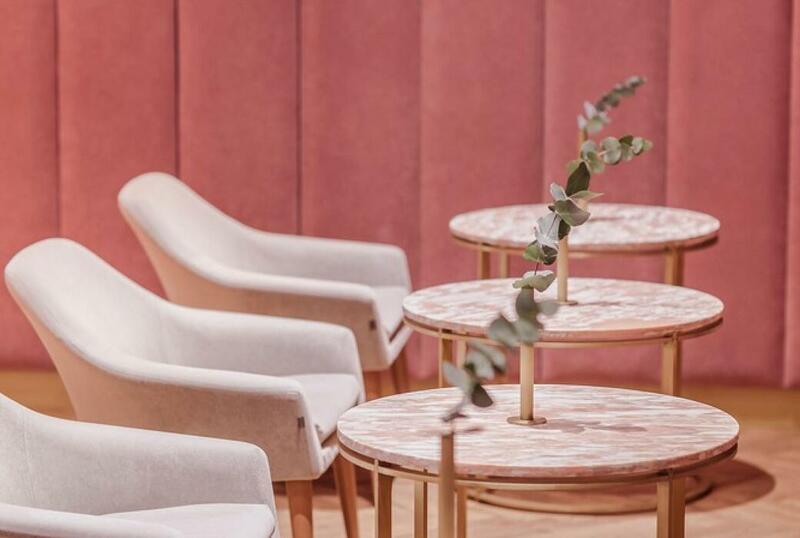 Feel totally at ease with the combination of small tables and armchairs, perfect for unwinding in the middle of a work day or grabbing a quick dinner before an evening adventure. Just be sure to choose your tables carefully, as restaurant tables are usually designed for taller seat heights and could make the experience more uncomfortable than enjoyable. Make a perfect pair with a plush armchair across the table from a banquette. There’s no need for customers to give up the “comfy” seat to their dining partner when the chair opposite a banquette is a lounge chair. Open up small dining spaces by opting for stools instead of restaurant chairs. While a chair back may not actually take up much space, they can look like they do. Stools create the illusion of open space and free up room to maneuver in limited-seating dining rooms. 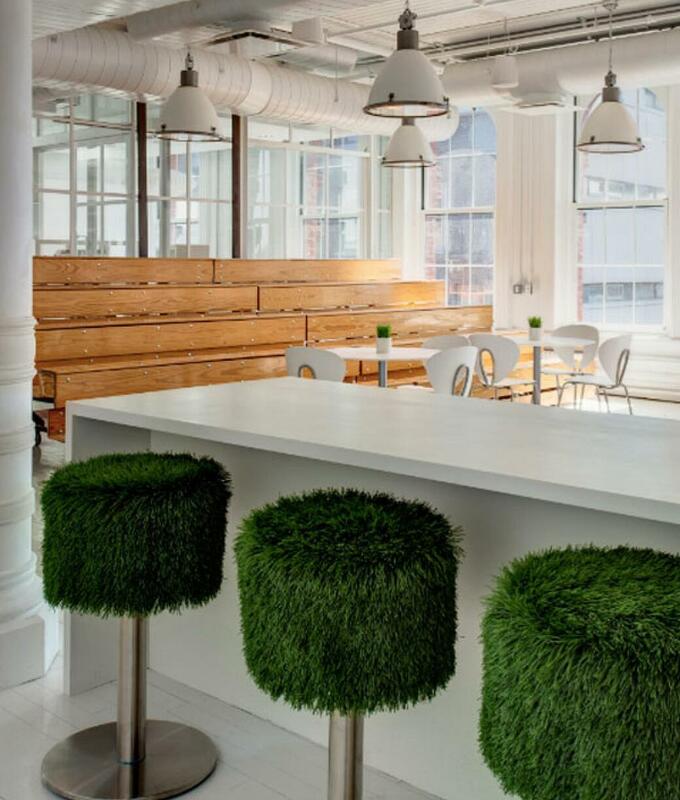 Use stools that match or complement your chairs for when you need additional seating. In cafes and bars, it’s not uncommon to have surges of business that leave every available seat occupied. Having stools in easy-access storage can open up additional seating for those hectic peak hours. Intersperse fun, colorful accent stools between other seating for surprising pops of style. Sometimes, just a little spot of color is all you need to turn a design from ordinary to extraordinary. Use bold colors among a palette of neutrals to add some excitement. If lounge chairs suggest comfort, couches demand it. While they’re no strangers to restaurant settings, couches were often found in waiting areas and luxurious powder rooms before they were brought into the dining space. Although slightly unconventional as restaurant chairs, these comfy, plush seats are a great way to give diners a unique, memorable experience. Be sure to pick out couches that are easy to clean and maintain, though, as restaurant customers will inevitably spill anything you serve on your beautiful cushions. Challenge expectations of a restaurant “table” by serving customers at a lounge-style cluster of soft seating. While some people discourage eating in the living room, the indulgence of enjoying a meal from a seat on a cozy couch is hard to turn down. Use smaller end tables or a low coffee table, as few as a few lounge chairs, to complete the ensemble. Use benches at long, family-style tables for a home kitchen or breakfast nook feel. Okay, so benches aren’t exactly couches, but they share the same quality of togetherness that lends itself perfectly to informal, community dining settings. Novelty seating can take many forms, and restaurants around the globe have really stretched the concept of a chair to its limit. From theater seats to wooden logs to the back halves of mopeds, creative designers and restaurant owners have refused to be bound by convention. While they’re not for everyone, novelty seating options can surprise and delight -- as long as they’re used with purpose. Own it! Double down on a theme. Themed restaurants, like the bathroom-themed Modern Toilet that took the internet by storm, don’t do anything by halves. The sky’s the limit: think vintage car booths, saddle-shaped bar stools, and poolside lounges. 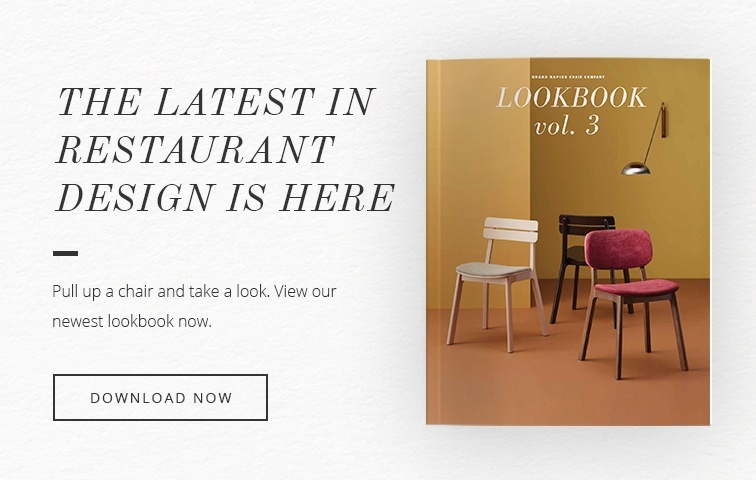 Achieve function and fashion with artistic restaurant chairs. Art can take any form, and restaurant chairs are no exception. 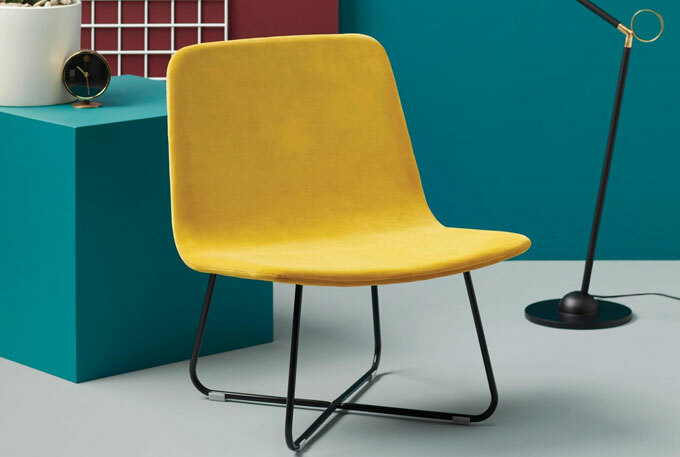 You may have to shell out more money for chairs that are both sculpture and seat, but you can be sure that they’ll stand out. 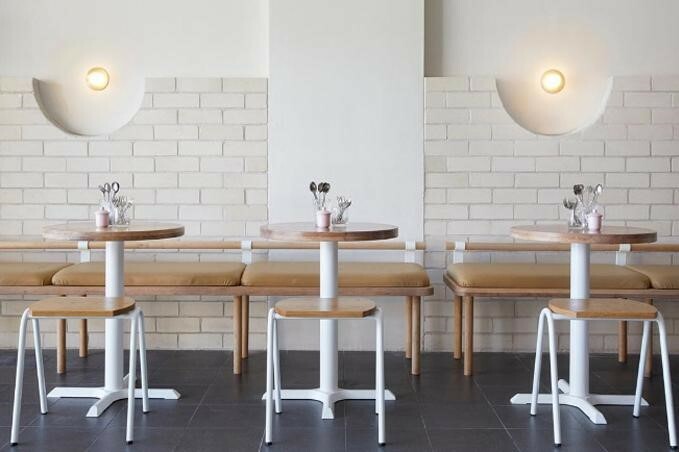 From hip to zany, non-traditional restaurant chairs are bringing a new layer of fun to restaurant design. What do you think of this new trend? Let us know!